The Gingerbread man is another favourite tale of my children but the tale of home baking, cows and foxes seems like other children's tales slightly outdated now (see traditional version). Once upon a time there was a little old man and a little old lady who lived in a tower block. so they hobbled onto a bus and wobbled down to the supermarket. with fondant for eyes and Smarties for buttons. over-engineered packaging and ran down the Bread aisle shouting 'Don't Eat Me'. The little old woman and the little old man staggered after him. 'Run, run as fast as you can! Down the aisle he sped when he came to a toddler. 'Stop! Stop! I wanna eat you," yelled the toddler. Past the checkout he met a security guard. me I'm the gingerbread man." The security guard began to chase the gingerbread man through the car park together with the toddler in a pram and the little old woman but the gingerbread man was fast. The gingerbread man came to dog tied to some railings. A sly women came from behind a lamp-post. 'I can hide you in this building,' she said. 'Of course not,' smiled the women. gate, down the path until he reached the door. 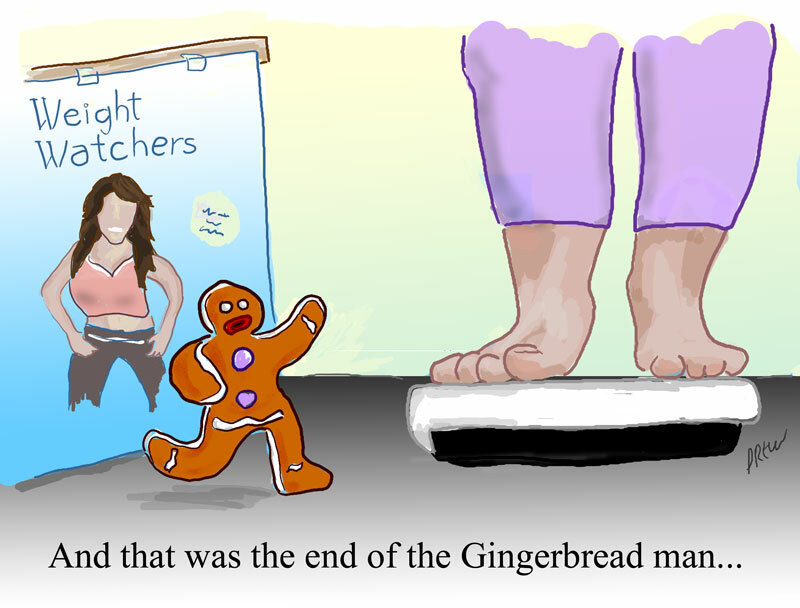 AND THAT WAS THE END OF THE GINGERBREAD MAN.